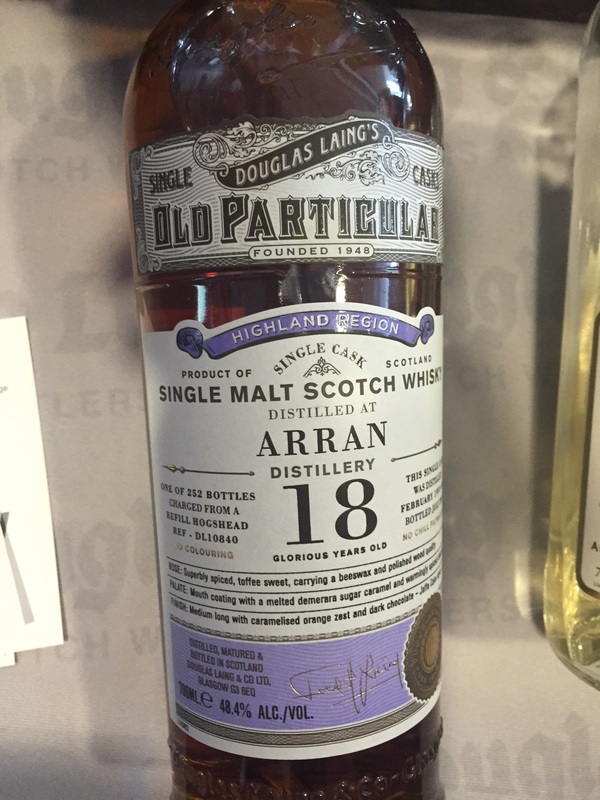 This is a lovely release of Arran 18 yo whisky from Douglas Laing, as part of their old particular range.. Bottled as a single barrel with NCF and an Abv of 48.4%.. Nose.. It really does have a lovely fruity nose with toffee, vanilla, spices and coconut.. Finish.. This has a lovely sweet oaky finish. A good mouthfeel finished off with a nutty fresh taste.. Thoughts.. Once again Douglas Laing send out a fine single barrel offering, it’s refreshing how they seem to listen to what malt fans want, single barrel, NCF and no colour with good abv.. We can not ask for much more.